Take a journey into a stormy day in the life of Christ and be assured that within every torrent there is a calm center. ^Come face-to-face with Jesus when He experienced more stress than any other day of his life aside from his crucifixion. Before the morning became evening, he has reason to weep, run, shout, curse, praise, and doubt. If you know what it means to be caught in life's storms. . .if you've ever ridden the roller coaster of sorrow and celebration. . .if you've ever wondered if God in heaven can relate to you on earth, then this book will encourage and inspire you. - Publisher In this bestselling title, readers are invited to take a journey into a stormy day in the life of Christ and be assured that within every torrent there is a calm center. 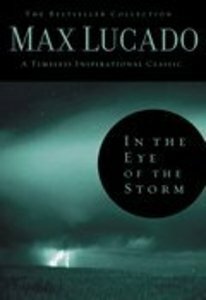 About "In the Eye of the Storm (Bestseller Collection)"
In this bestselling title, readers are invited to take a journey into a stormy day in the life of Christ and be assured that within every torrent there is a calm center.